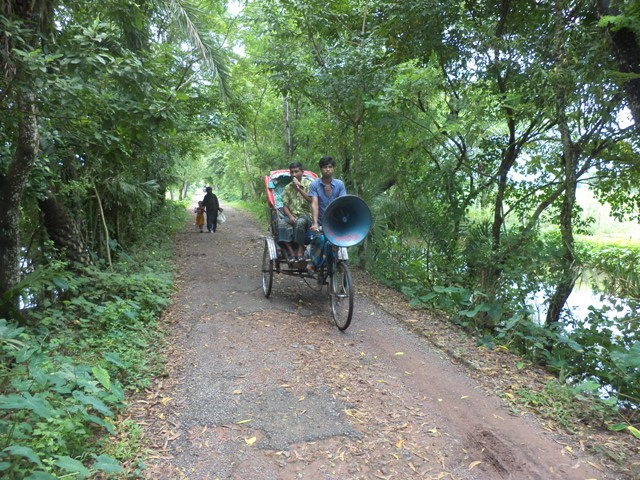 Although national vitamin A campaigns have resulted in over 80% coverage of vitamin A distribution throughout Bangladesh, pregnant and lactating women, infants, and young children still consume diets that are not sufficient in vitamin A, with serious health consequences. On October 5, Bangladesh celebrated the National Vitamin A Plus Campaign across Bangladesh as part of on-going national efforts to raise awareness about diseases that are a result of vitamin A deficiency, mainly night blindness and the need to strengthen children's immune system. USAID’s SPRING project worked closely with the Ministry of Health and Family Welfare to maximize awareness and ensure effective implementation at the district level. 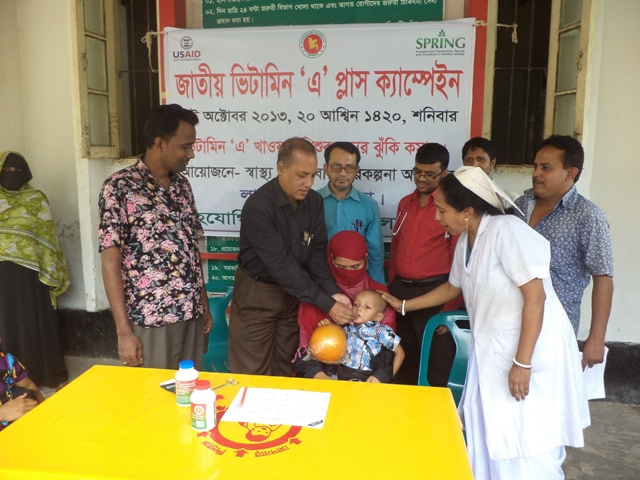 On October 5, Director General of the Ministry of Health, Dr. Khandker Shifaetullah, formally inaugurated the campaign by giving a speech at the Institute of Public Health Nutrition (IPHN) in the Mohakhali area of the capital. The Director General urged parents to give their children vitamin A capsules to prevent childhood blindness and help reduce child mortality and strengthen immunity. More than 21 million children were given vitamin A capsules at 120,000 permanent centers across the country. An additional 20,000 mobile centers remained open from 8am to 4pm at bus stands, railway stations, launch terminals, airports, ferry terminals and bridge toll centers ensuring that all children were given the doses. According to the British medical journal, The Lancet, these types of campaigns can help to cut 24% of child deaths.